You've just visited your favorite salon to get a much needed manicure. Now before getting your nails painted, just slip into a pair of Manisavers. Not only will Manisavers help moisturizers work longer, but they look great while help protecting your delicate hands from UV Light. 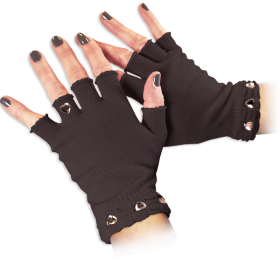 Manisavers will keep your hands toasty warm as you make your way home, in any kind of weather!